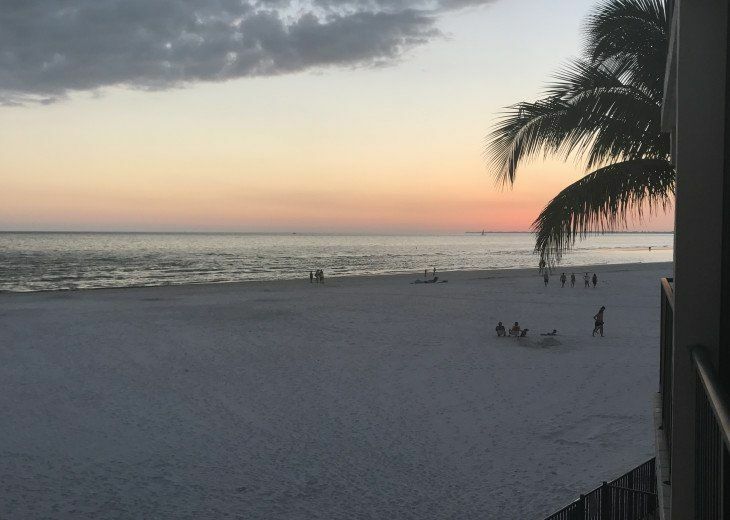 You will love this newly renovated and professionally designed second floor beach condo on Fort Myers Beach with spectacular straight on views of the Gulf of Mexico. 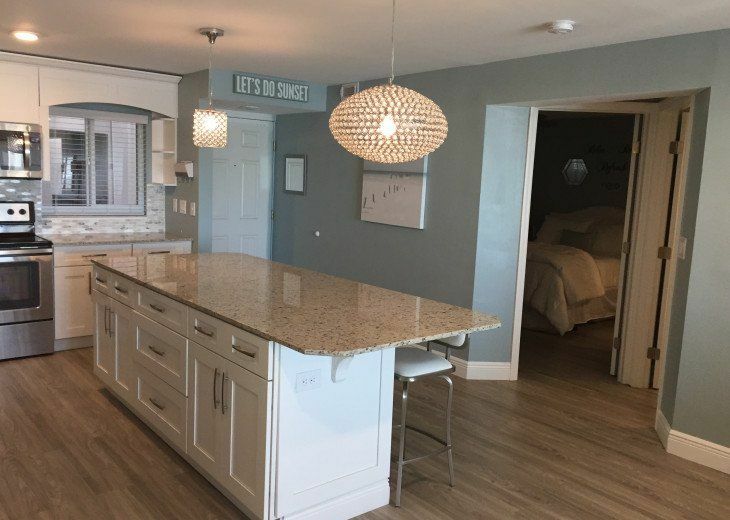 The serene blue/green colors, crisp white cabinetry and weathered plank flooring were all chosen to provide a true beach experience with a spa like feel. 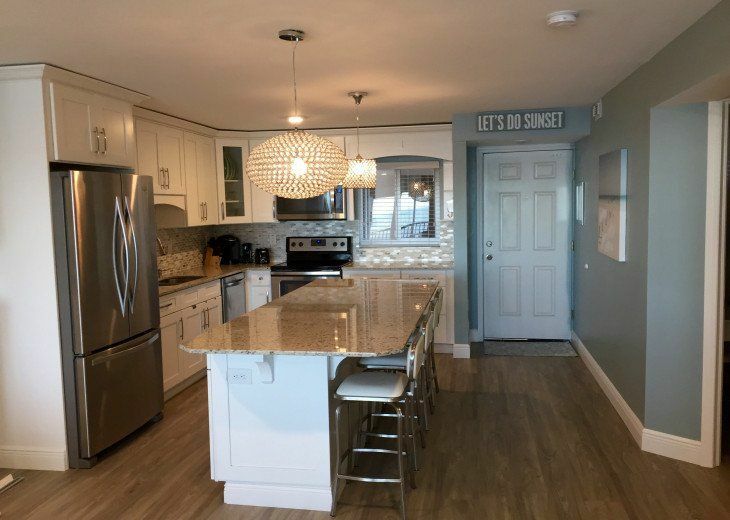 This second floor 1 bedroom 1 bath condo is fully equipped and has the benefit of privacy with a full beach view yet is only one flight of steps from the beach and the heated beachfront pool and jacuzzi. In 30 seconds you are at the pool and beach with no long corridors or slow elevators to drag your beach gear through. You can hear the waves from every room and fall asleep to the sound with the new floor to ceiling glass doors open to the generous screened lanai. 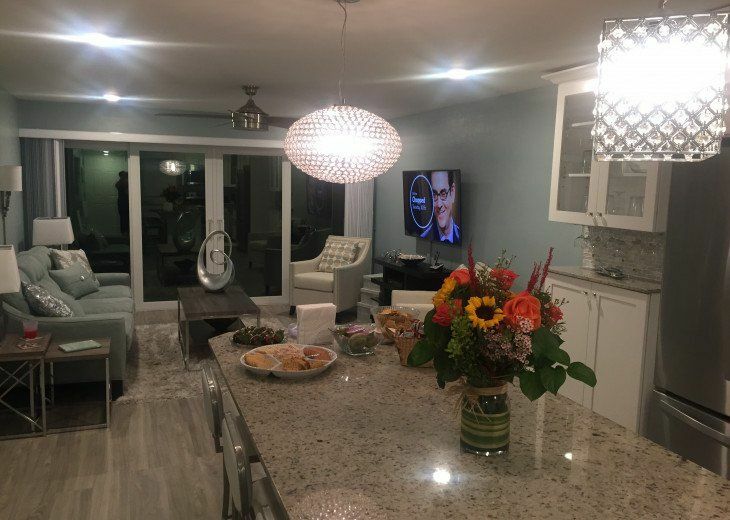 The beautiful new open concept kitchen boasts stainless steel appliances, a french door refrigerator with ice maker, a nine foot granite island, new utensils, small appliances, dishes, glasses and cooking necessities. In this condo the chef is not relegated to a tiny, cramped kitchen with a “peephole” while everyone else enjoys ocean views. 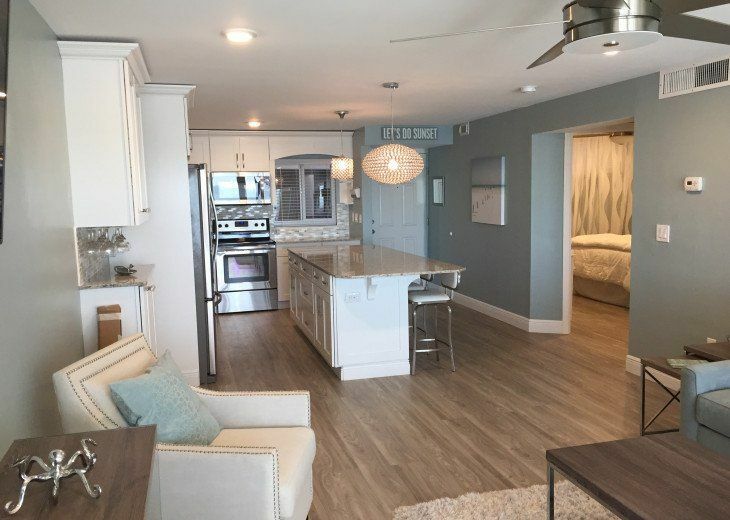 EVERYTHING in this condo is new including the dishes, appliances, beach towels, soap dishes, pots and pans, measuring cups and margarita glasses. 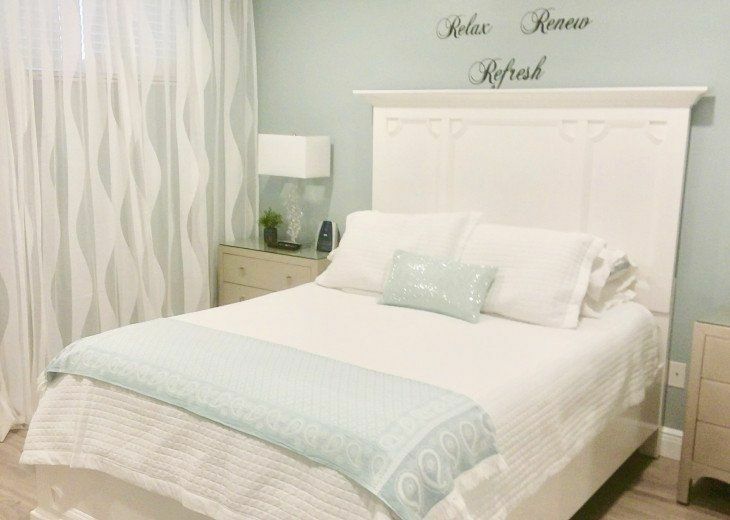 We replace towels and sheets regularly so the white linens are always clean and crisp. 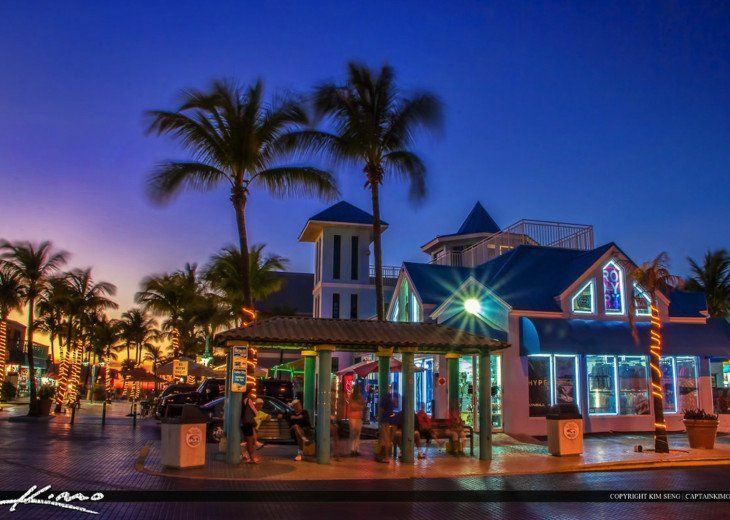 You will love your upscale boutique beach experience! The master bedroom has a new queen bed, two three-drawer chests and an armoire so you will have plenty of storage to make this your home away from home. A large bathroom adjoins to the master bedroom and is also accessible from the living area. 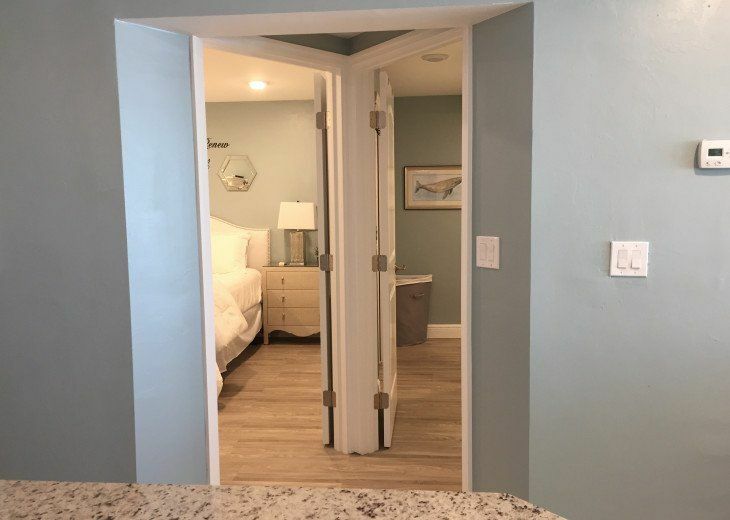 This was a significant factor in the renovation and is quite unusual because most one-bedroom beach condos only offer accessibility to a tiny bathroom through the master bedroom. 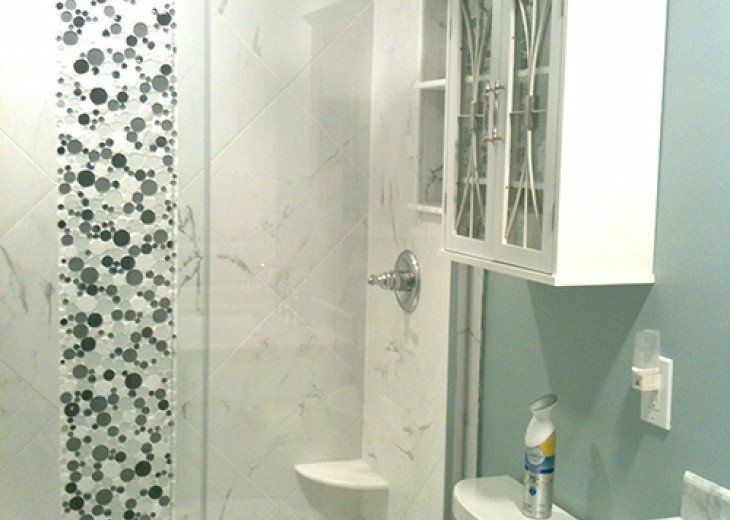 This new configuration offers a large bathroom with two separate designer marble top vanities and a beautiful marble tiled shower with thick glass doors. 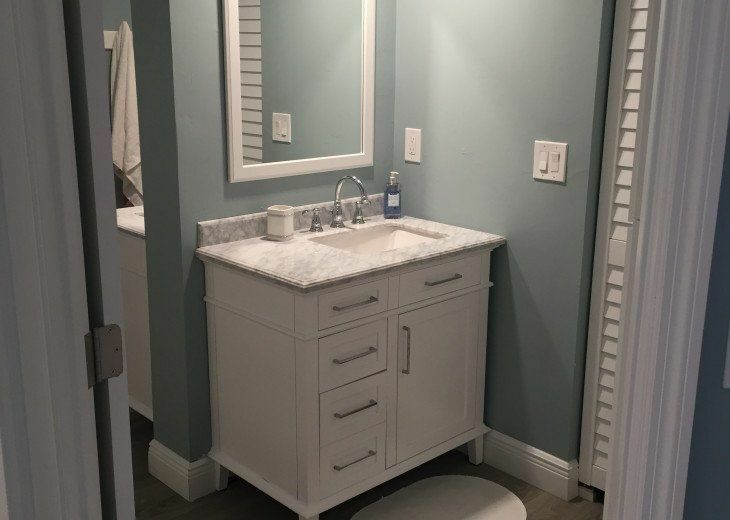 The unique bathroom layout and second vanity allow for privacy and convenience because each guest has their own 36” vanity. (No more sharing the same tiny sink or brushing your teeth while one of you is trying to shower in the same small space ☺!) A walk in closet with felt hangers, shelving and two suitcase racks adjoins the bathroom. The living area has a remote controlled ceiling fan, is open to the large kitchen and a stylish beach design with all new furnishings. The new floor to ceiling sliding doors which span the entire width of the great room lead directly to the generous screened lanai. A contemporary dining table with four chairs and an overhead ceiling fan make this the perfect place to enjoy your morning coffee and watch for dolphins, catch some shade from the afternoon sun or enjoy a glass of wine as you listen to seagulls, waves and watch the sunset. The new remote controlled hurricane shutters offer optional privacy and protection from storms that may blow in from the Gulf. 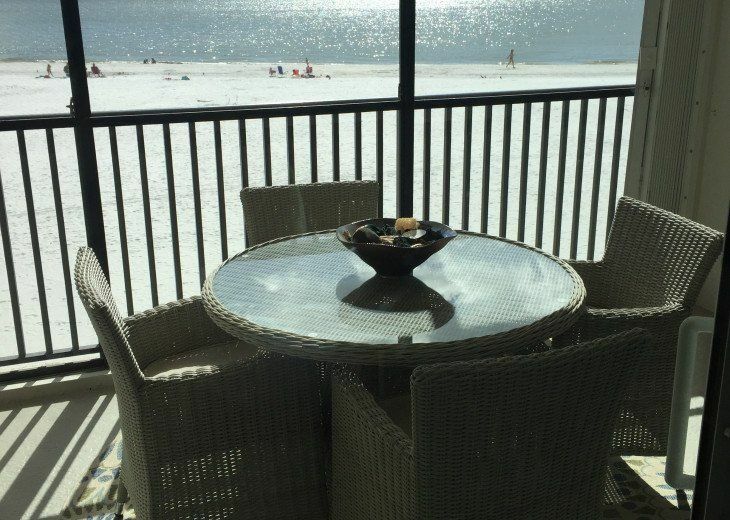 The large armoire on the lanai stores beach accessories, a rolling cooler, beach chairs, and noodles for the heated beachfront pool. Oversized beach towels and an umbrella w/auger are also provided so all you need to bring is sunscreen and your swimsuit! You won’t miss the game – or anything else - with two wall mounted WIFI HDTV’s, DVR capability and a premium cable package (55” living room and 40” master bedroom). If you must bring work on your vacation, you will appreciate the complimentary high speed WIFI, WIFI printer and desk. 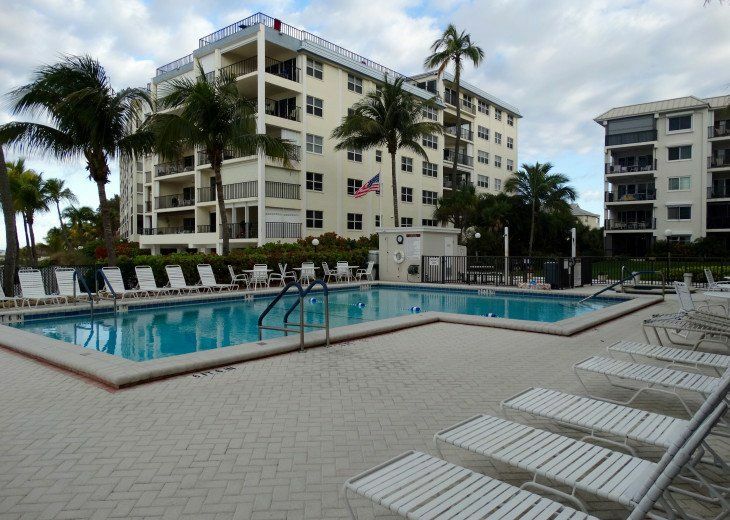 Coin laundry facilities are next to the pool and boast a big picture window with views of the pool and beach. Doing laundry never looked so good! 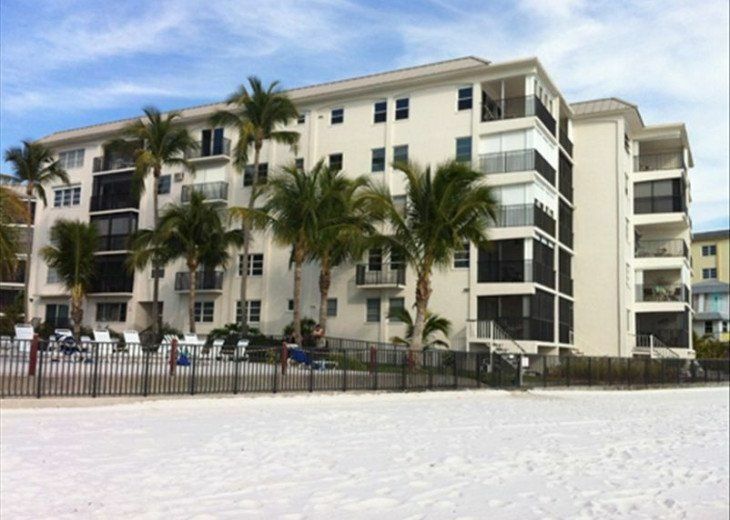 The elevator is located just outside the condo and is ten steps to the laundry facilities and then ten more to the entrance of the heated beachside pool and jacuzzi. There is one reserved covered parking space for the condo (#82). 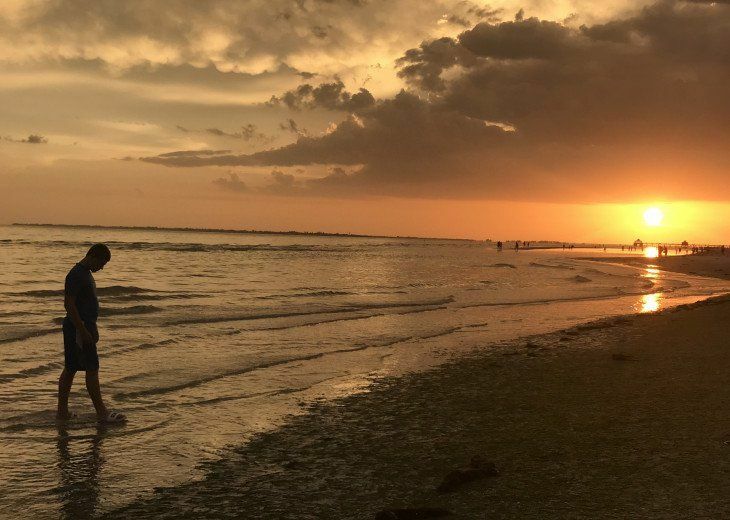 The Island Trolley runs the length of the island and stops directly in front of The Estero Beach Club so you will not need a car to enjoy all that Fort Myers Beach has to offer. The Club has bike racks and a bike rental shop is two blocks away. The onsite manager, Marti, is happy to take your reservation or call the owner (us!) directly. 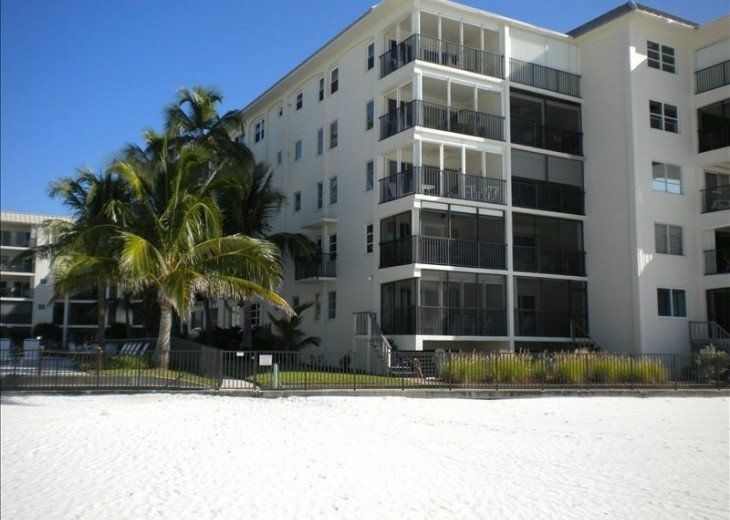 Our beach condo accommodates two adults over 25 years. Sorry, no children. 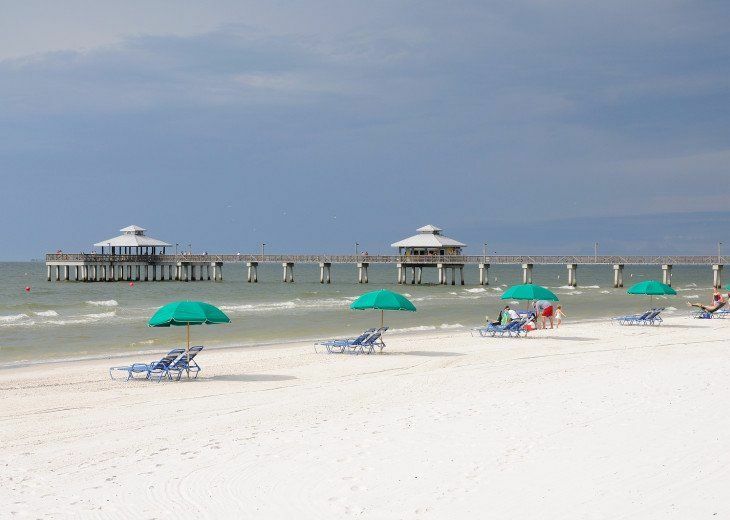 All guests must be listed on the Estero Beach Club registration form. 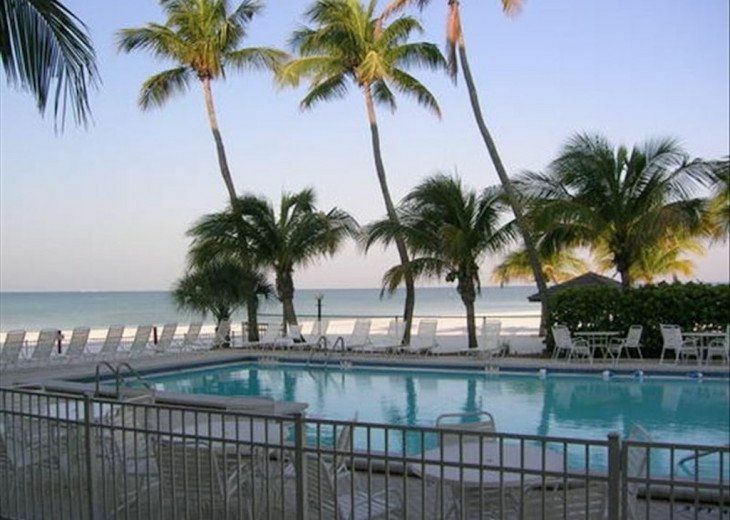 The Estero Beach Club non-refundable registration fee is $50 for 7-13 days and $100 for 14 days or more. Deposit = $200 for a one week off-season stay and $500 for a high season stay. Daily rates are prorated based on the weekly rate for a stay longer than 7 days. There are no other charges. (No cleaning fee, damage deposit, etc.). Cancelations after 60 days prior arrival are non-refundable. If we are able to re-rent the condo to other guests, then we are happy to provide a full refund. 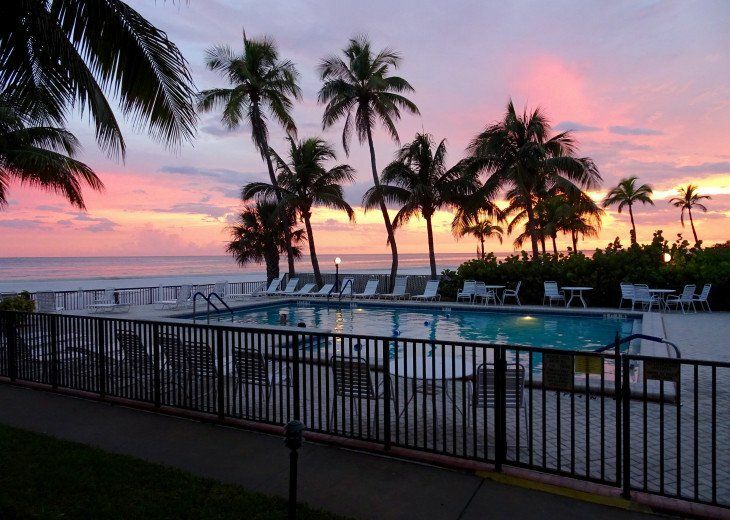 Guests say that our condo and the Estero Beach Club exceeded their expectations. 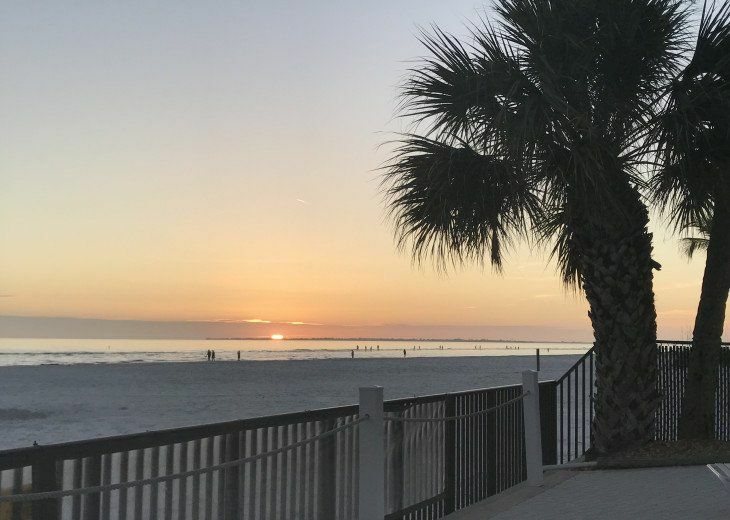 If you are interested in reservations for the busy winter months, Estero Beach Club offers existing guests first choice for the same time the following year. As a result, our guests often make the following year’s reservation and deposit before checking out. Once you have a reservation, you can likely keep it as long as you wish. The Club does its best to take care of returning guests which helps maintain the intimate feel of this boutique resort. We appreciate the second floor location of our condo because we have a slightly elevated view and can still hear the waves in every room. The second floor provides a more private location than the ground level condos. We especially enjoy sitting on the screened lanai in the morning with our coffee and then again at night. 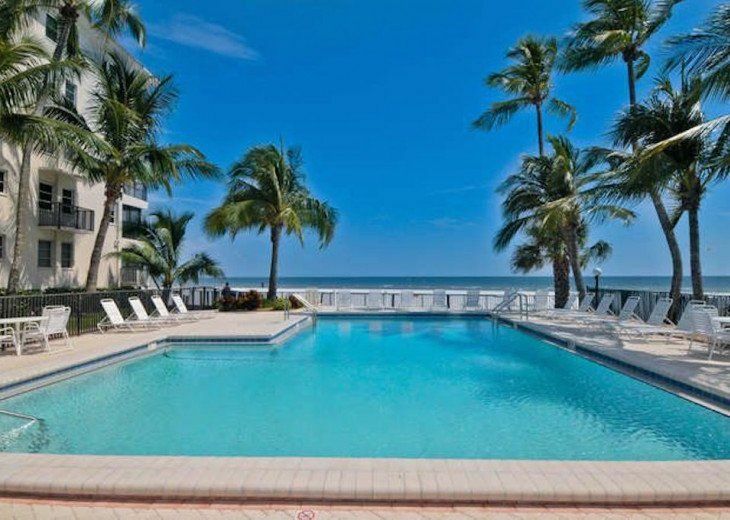 The heated pool and jacuzzi are only one floor down and are directly on the beach so we can be at the pool AND at the beach which is a unique feature of Estero Beach Club. There is an elevator just outside our condo but we rarely use it since it is easy just to walk down one set of steps to the pool. It literally takes 30 seconds to be at the pool and beach! An added bonus is the poolside/beach view laundry facilities so you can do laundry and not sacrifice precious pool time. Our condo accommodates two adults over 25 years. Sorry, no children. Your deposit and completed EBC Registration Form will confirm your reservation. Deposit = $200 for a one week off-season stay and $500 for a high season two week stay. Guests must pay Florida and Lee County sales tax = 11% which is added to your reservation. Full payment is due 30 days before arrival. My husband and I spent a week here June 2, 2018 to June 9, 2018. 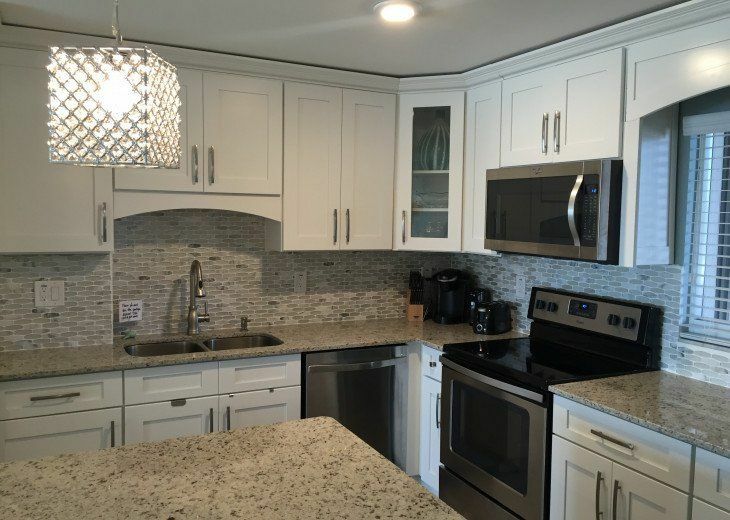 Condo is beautifully updated with everything you could ever need! Pool area and beach area were very nice. Marty in office was helpful for area information. We could walk to restaurants and bars. Longest walk was 1 mile to Time Square where there are many great restaurants and bars to choose from. And the pier to watch the beautiful sunsets! 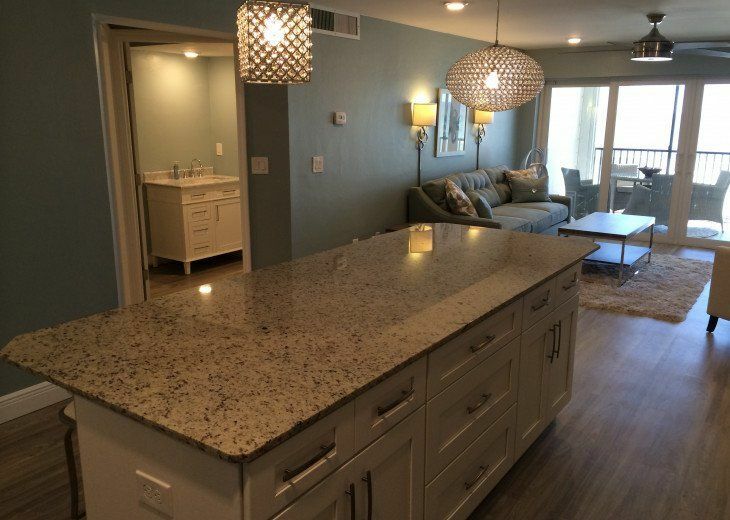 We loved everything about this condo and will definitely stay again if we are in the area! 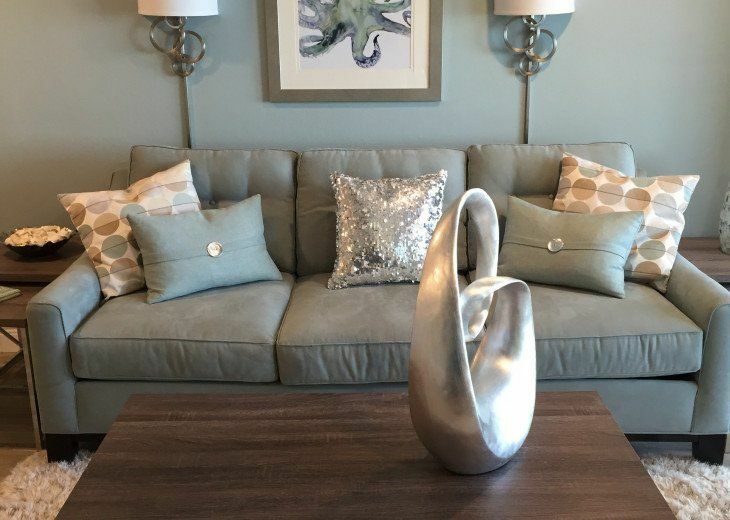 Loved this condo, you won’t be disappointed! We have stayed at this small complex a few times over the past years. 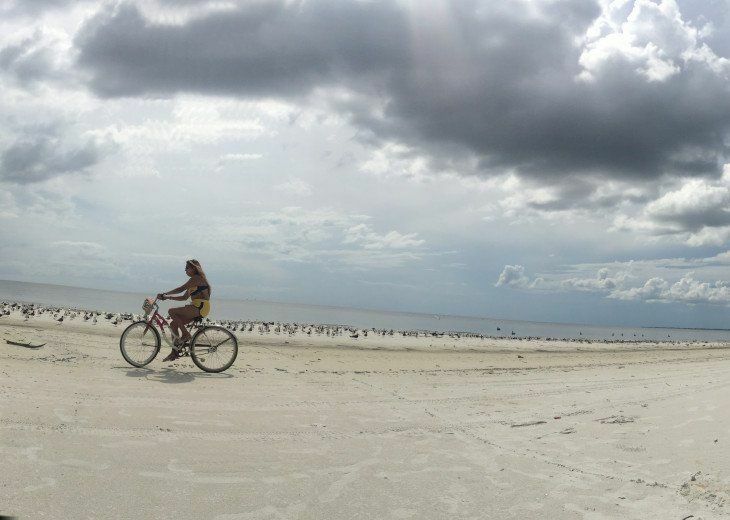 We love the location right on the beach, walking distance to Times Square and many restaurants. It is small enough to get to know fellow guests. It is primarily an older adult crowd, not so suitable for children in my opinion. (kids are not allowed in the pool if not toilet trained, no floating toys allowed in pool, there is no playground type equipment). The pool is the prime attraction, right on the beach, heated to a consistent 84 degrees, with a hot tub beside it. Marti, the on-site manager, is friendly and always helpful. The condos are all individually owned and vary greatly in terms of how modern and equipped they are. I have stayed in or peeked into many units while here over the few years and #203 is undoubtedly one of the best. The condo is exactly as pictured. I can’t stress enough how well equipped this condo is but more importantly to me, how well equipped with high quality products. The linens in the bed, bath and kitchen are of great and obviously replaced regularly. We received comments around the pool about how nice the beach towels were! 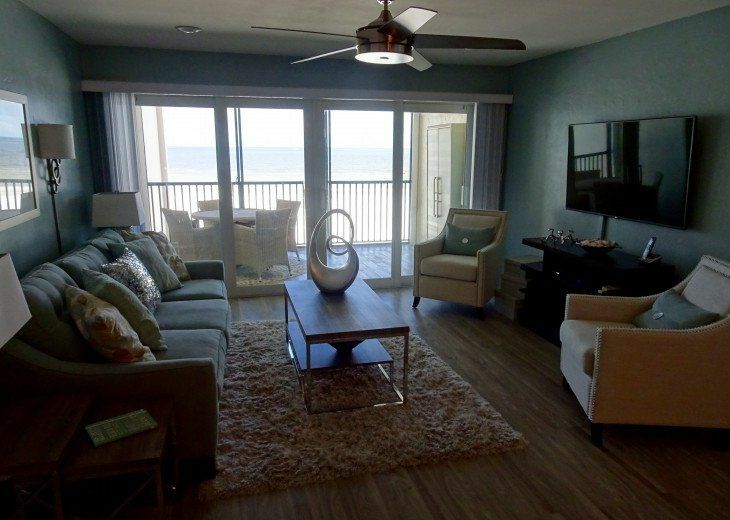 There are extras like a Keurig machine, coolers, new “Tommy Bahama” beach chairs and a large umbrella for the beach, great tv package with movies, ice maker in the freezer, good internet and air conditioning, nice “wicker” patio furniture, remote controlled ceiling fans. We loved the open concept design. The bed was comfortable (admittedly I would have preferred a king bed!) and we slept well. I would not hesitate to recommend. We have booked again for next year and can’t wait! Marty was a wonderfully helpful with any silly little questions we had— a real jem! The people that we met were all very nice. We liked being able to stay at an all adult location. We just didn’t want to deal with other people’s children at the pool and beach. The water quality was not as good as what we had at Clearwater or Madeira in past trips— but the red tide could have been an issue in those areas this year as well. Access to everything —like restaurants and grocery/confidence stores —was very good. A mile in either direct was all you could need or want. We didn’t need a car and Ubered from the airport there and back for about $40 with a tip. We rented bikes for the week from Hogan—which was just down the street on the same side of the road. 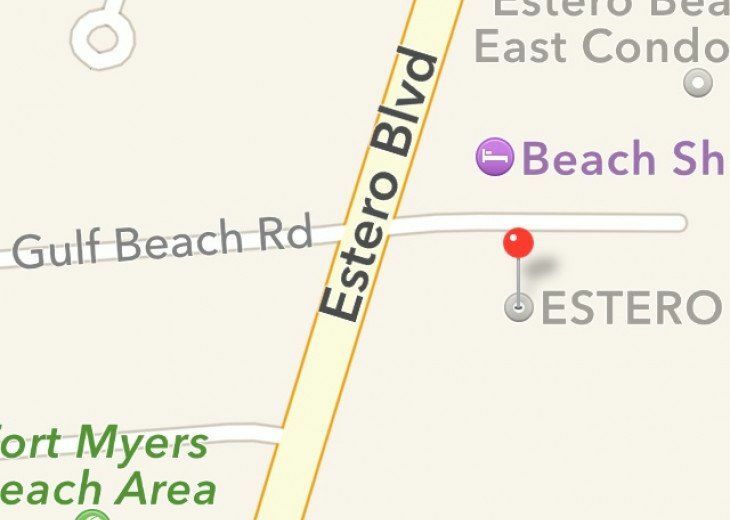 We’ll probably be back to Esteros Beach area—and when we are—we will definitely stay here. 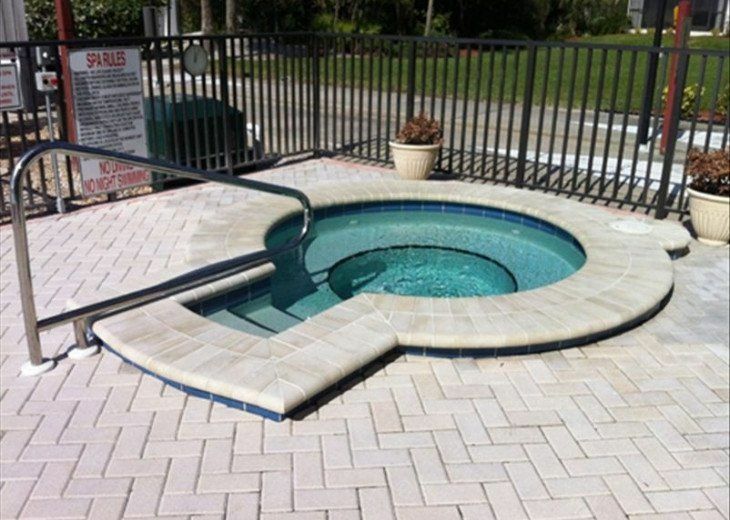 This condo sits in the perfect location. The views are amazing. The pool overlooks the beach and is simply gorgeous. Most importantly, this condo is just a gem. Absolutely gorgeous with a little bit of luxury. You open the door and you immediately know you’re about to have an amazing vacation! 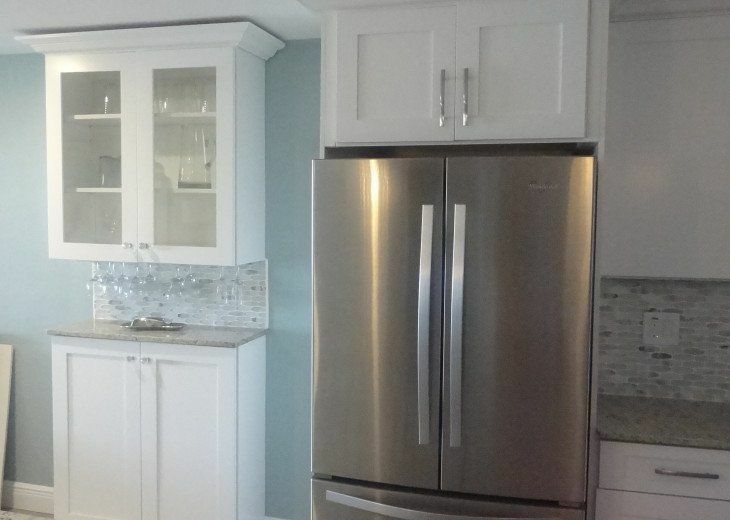 Not many condos come with such nice furniture, linens or well stocked kitchens. This condo has it all. I come to Florida every year but hands down best location and condo ever! Beautiful condo beach side. Great location. Great condo! Perfect ocean view! A beautifully updated condo which was very clean! The view was amazing. We had a slight issue with the new a/c unit, but it was resolved very quickly and was a minor issue. Marti and Todd were very helpful and accomodating! The carts were very helpful to pack our things upstairs. Our stay was so great that we didn't want to leave. Will definitely stay here again when revisiting! The only minor thing we would find more helpful is not having to have change for the washer and dryer downstairs. Or have a change machine accessible (I didn't see one but could be wrong). People in shops on the beach don't want to give out change for $1.00, so stopping at multiple places was a little inconvenient but that is of no fault to this owner. Just a suggestion for the complex in general. This complex was further down from the pier, which was awesome because it was less congested and quiet. 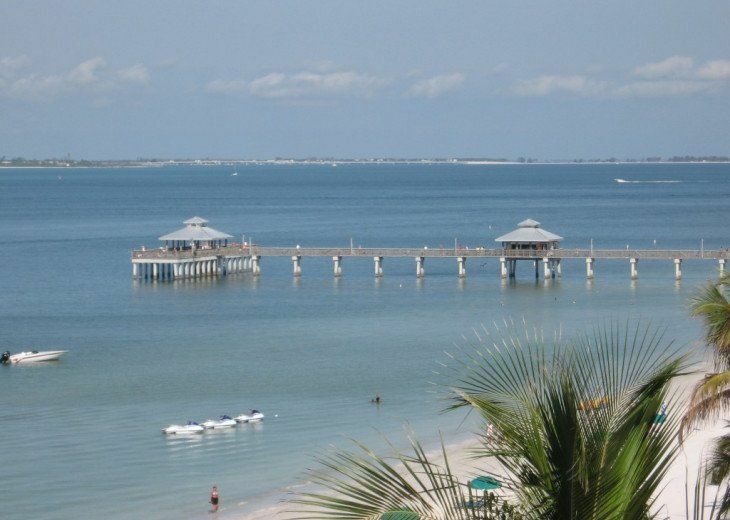 Beautiful location and condo! Perfect! Condo on the beach. The pool overlooks the beach. 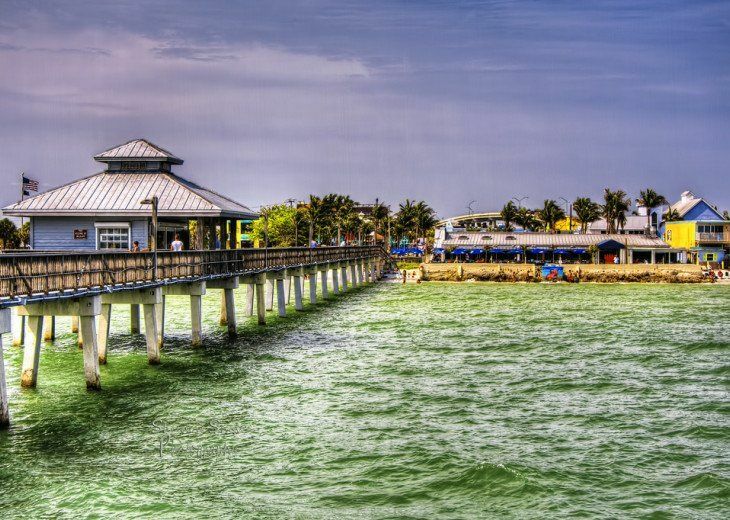 Perfect location away from the hub bub of the pier but easy walk when we wanted to go there or to Times Square. The condo is lovely. Washer ( HE) and dryer easy to use and nice to have on site. Beautiful! Thanks for letting us stay again at your beautiful beach front condo! Already looking forward to next year! Great place and fantastic beach! Love the decor. Was very impressed with condo. We cannot wait to spend another week in your beautiful condo. The sunsets were gorgeous at night. Very peaceful evenings walking the beach. One morning we were able to experience the dolphins in the water. Enjoyed shelling a few times. Location was nice, close to a few things in walking distance. We had everything we needed, it was like home away from home. Condo was absolutely perfect! Great location, all the amenities of home and great owner and property manager. We will definitely be back! Thanks! Lots of positives, some negatives. Not enough negative to damper my trip but really don't want to deal with that type of stuff on vacation. The owner and manager made every effort to correct unit issues promptly. Three major issues; three days of no A/C and then when the contractor arrived it was determined the unit needed to be replaced. So it had to be "babied along" until after I left at temps of 77 degrees. Kitchen sink was stopped up, was supposed to be a plumber there on Monday- none ever showed up. And then onsite construction-which I guess is to be expected off season but it still was not fun! Perfect gem on the beach. Close to lots of restaurants and activities - we only moved the car once in 10 days. 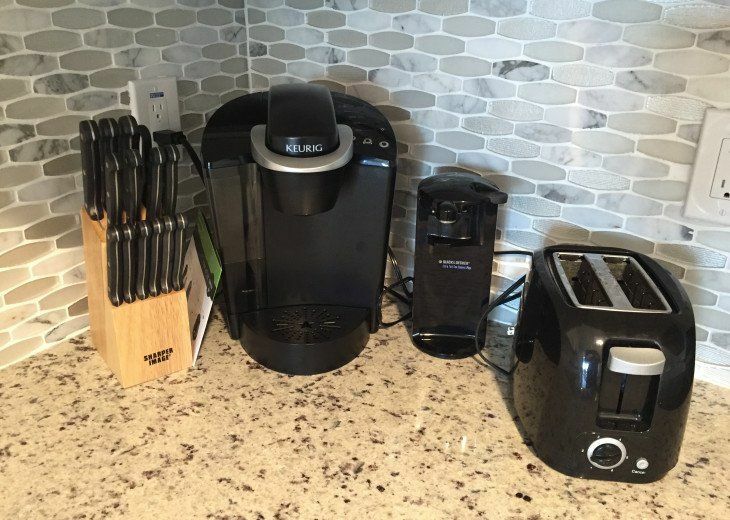 The condo is filled with all the convenience of your own kitchen, cable, WiFi. Pool was great - such a beautiful view. Our favorite part was sitting on the patio drinking coffee and watching the dolphins and the birds. This was a perfect vacation for us! Super cute condo that has been newly renovated. It has everything you need for your stay on the beach! 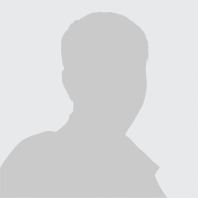 Seashore Properties, LLC 701-205-5830 Show Phone No.